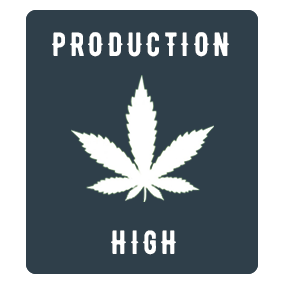 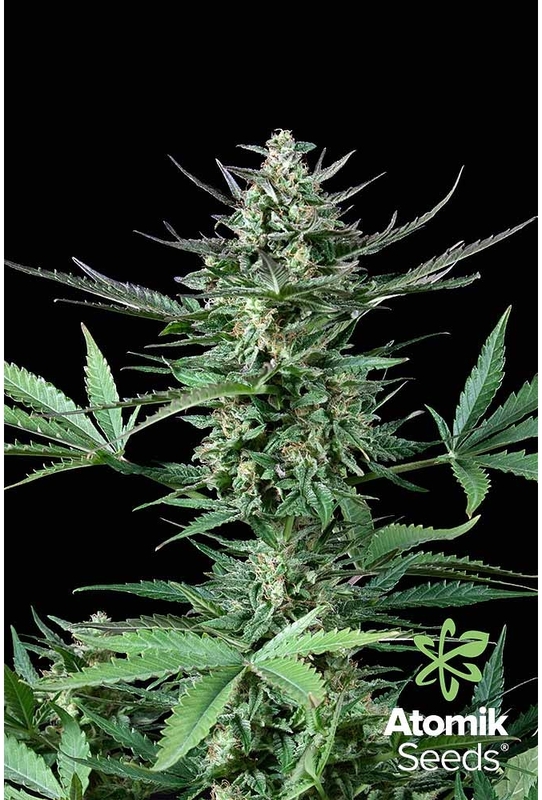 Auto Bud autoflowering feminized cannabis seeds. 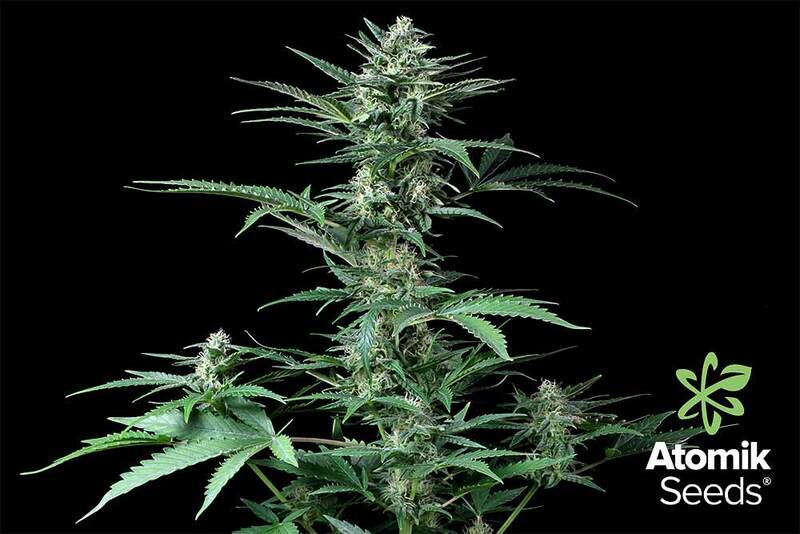 Auto Bud from Atomik Seeds is an autoflowering feminised cannabis seed based on indica genetics crossed with the most stable and accomplished autos to date. Growing cannabis has never been as easy and practical. 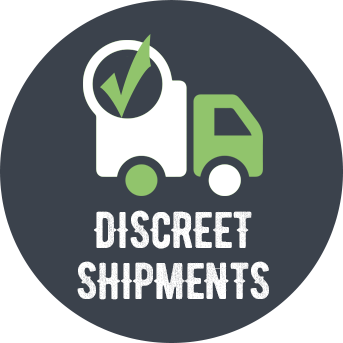 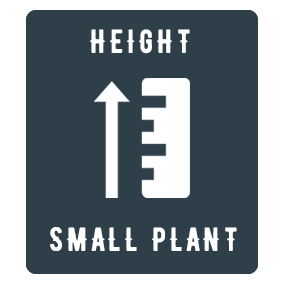 Ideal for discreet growers who cultivate on balconies, as the plants do not grow high and are not overly affected by light contamination from street lamps. 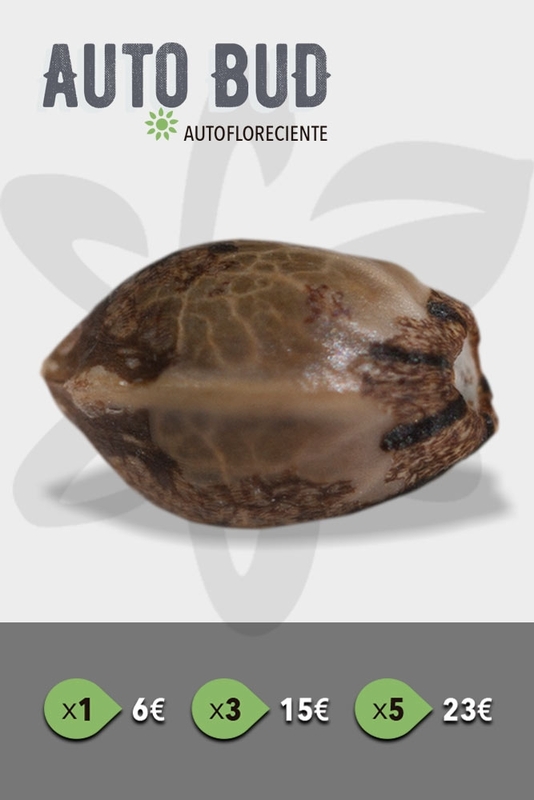 Autoflowering feminized cannabis seeds. 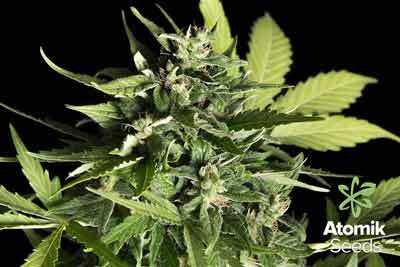 Auto Bud. 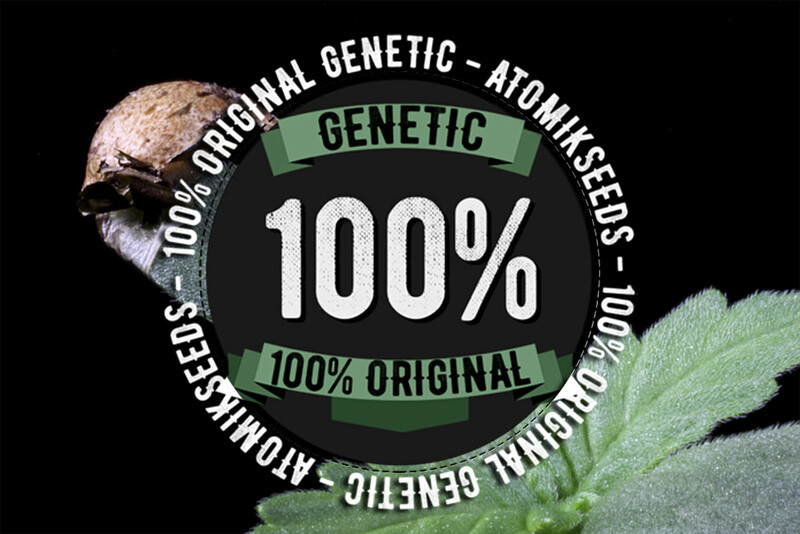 Atomik Seeds. 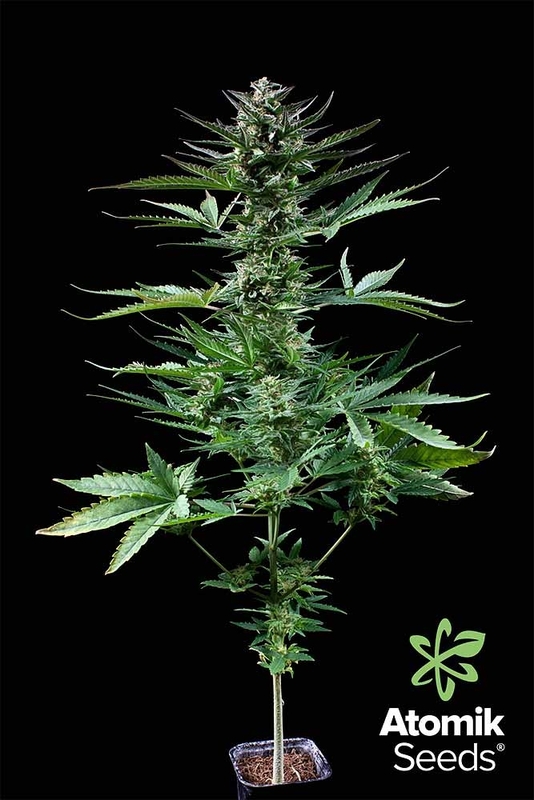 It is a medium-sized plant, no higher than a metre, and has an extremely short life-cycle, 65-70 days from germination to harvest, in both indoor and outdoor cultivation. 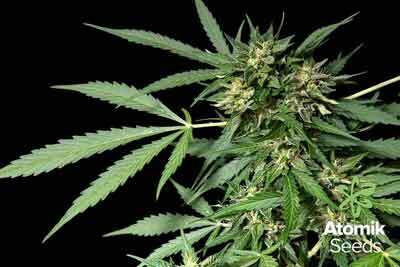 Like all autoflowering plants, it requires a lot of food in each watering except during the root cleaning period. 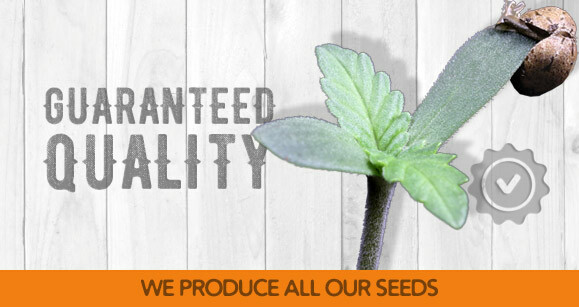 If it has abundant water and fertiliser, plentiful light (indoors throughout its life cycle 18h ON) and quality well-aerated substrate, success is guaranteed. 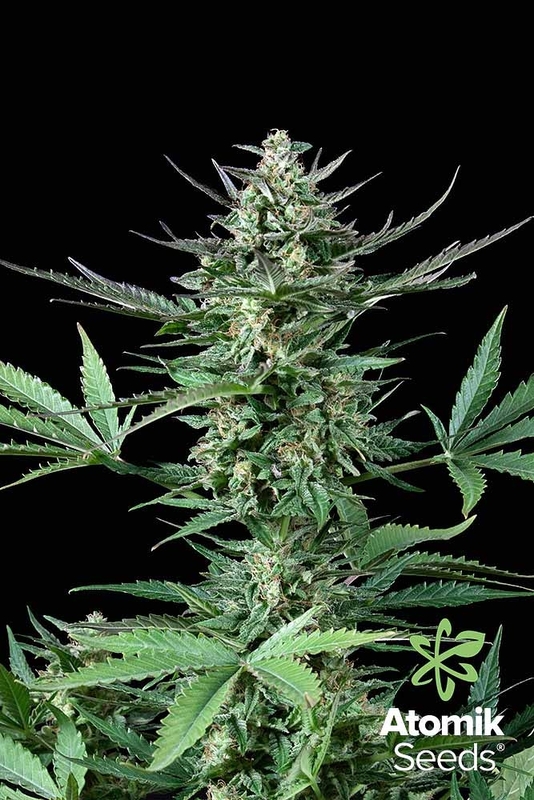 One of the most relevant aspects of this variety is its powerful effect, which combines extreme relaxation with mellow well-being, a feeling that leaves a characteristic good taste in the mouth. 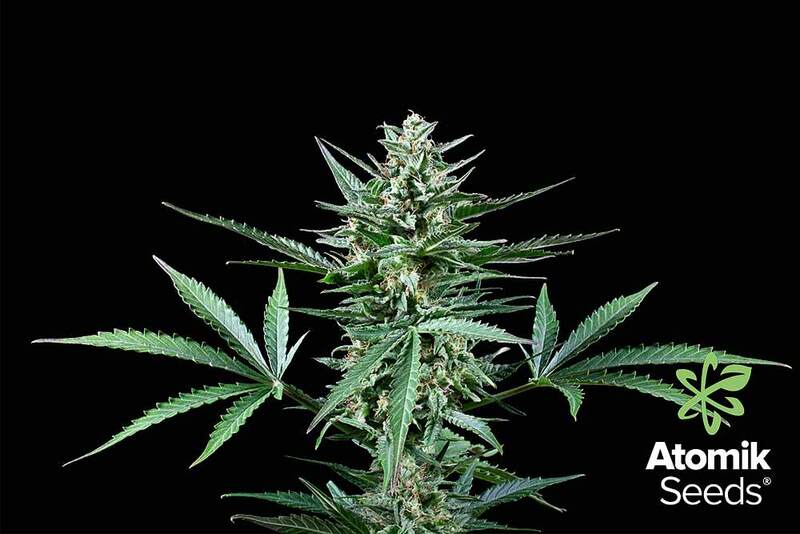 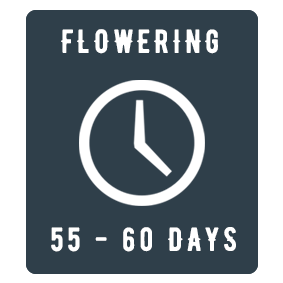 Growers sceptical about autoflowering varieties will see how they improve day by day, with aromas and flavours closer to their non-autoflowering counterparts. 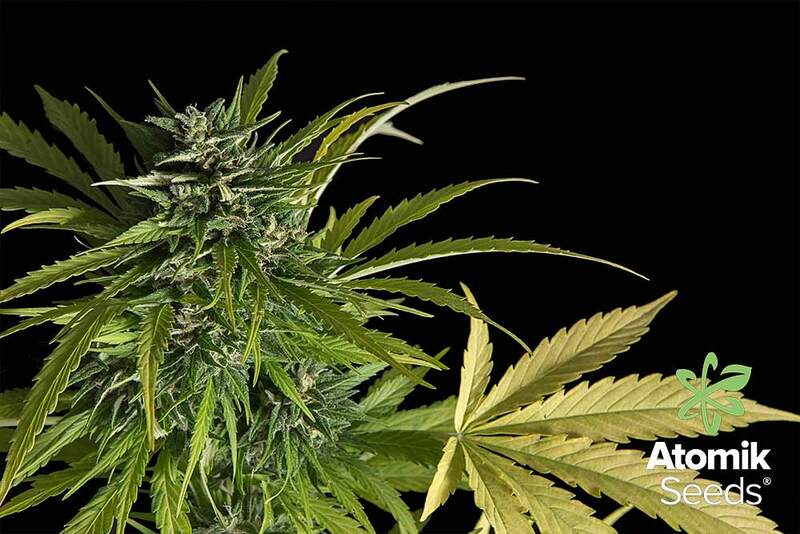 This is the variety that will change their minds and get their approval. 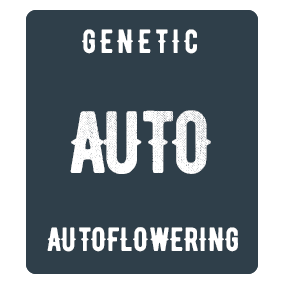 If you still haven't tried out any autoflowering varieties, Auto Bud promises to be a revolution with respect to the first autoflowering seeds that appeared on the market, a real turning point. 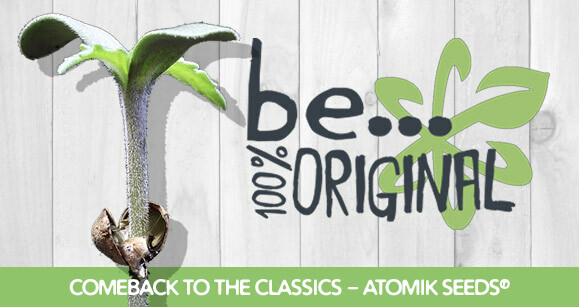 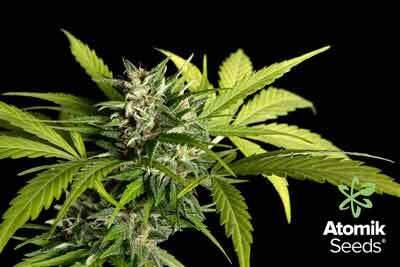 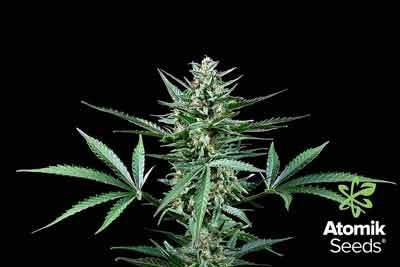 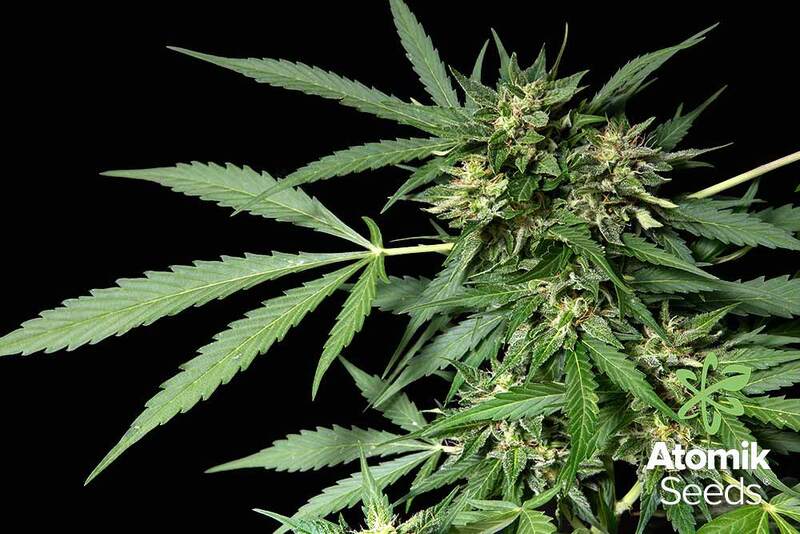 Atomik Seeds' Auto Bud autoflowering feminized strain is a real cannabis gem.